The bigger the winery, the more the various administrators are paid; that's logical because there's more for an HR director to do at a million-case winery. 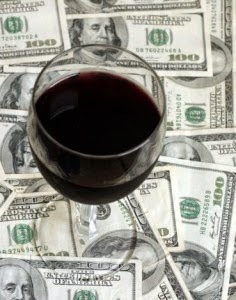 But surprisingly, winemakers are not paid more at the biggest wineries (over 500,000 cases); in fact, they are the lowest paid of all winemakers. The highest-paid winemakers work at mid-size wineries, from 50,000 to 100,000 cases. But there's very little dropoff in average salary to smallish wineries (defined as under 50,000 cases by Wine Business Monthly). There is a big dropoff at very small wineries, under 5000 cases. The average salary at those for (Junior) Winemaker is $74,096, about what Assistant Winemakers make at larger wineries. Plus, most small wineries don't have a Winemaking Director or a Senior Winemaker. So instead of trying to taste terroir or the winemaker's style, perhaps we should be sniffing for characteristic notes of the benefits program. I did not read the article yet in WBM, but is this total compensation or just straight salary? I wonder because as an Asst. Winemaker for a large winery I am paid more than a winemaker at a 20K case winery, who has much more resposibility. There's a whole separate article on wine industry employee benefits, too complicated to summarize here. This issue is probably well worth the $5.95 newsstand price. I guess my point is that the average salaries seem a little high. You're telling me! "Freelance journalist" ranks below "tasting room glass washer." Many of these surveys are self-reporting, with no attempt to discern who is represented, really. They've gotten better, but they don't really reveal much because of benefit programs, bonus programs, ownership situations at smaller wineries and many more variables. And things have changed in the last 6-8 years, rather dramatically. As an HR Exec in the industry, I'll confirm that the relative range of these salaries are in the right ballpark. Trendwise, Finance continues to be on the upswing, HR has just caught up after years behind, Sales is about bonuses, and Marketing is more about musical chairs (ie. turnover) than wages. Reality is, employment (hence wages) is a (imperfect) market, subject to the laws of supply/demand. Good Financial types are in low supply and high demand, hence the surging wages for beancounters. There is a healthy supply (esp. globally) of wannabe wine makers...hence the lag in compensation. Not necessarily fair, mind you, but markets rarely are fair. Matches my experience. I've always known that the same skill set and level of responsibility would get me easily 2X the pay in another industry. I do winemaking because I love it. It does always seem absurd to me though that so many winery owners pay relatively cheap labor prices for the people with the most direct responsibility for safeguarding the company's entire revenue source. $5 million in wine being cared for by some poor guy making $75K/year. The salary of the H R director is high because of the scale of the winery operation. I suspect that most small wineries lack a dedicated H R executive: that role is filled by the owners themselves.